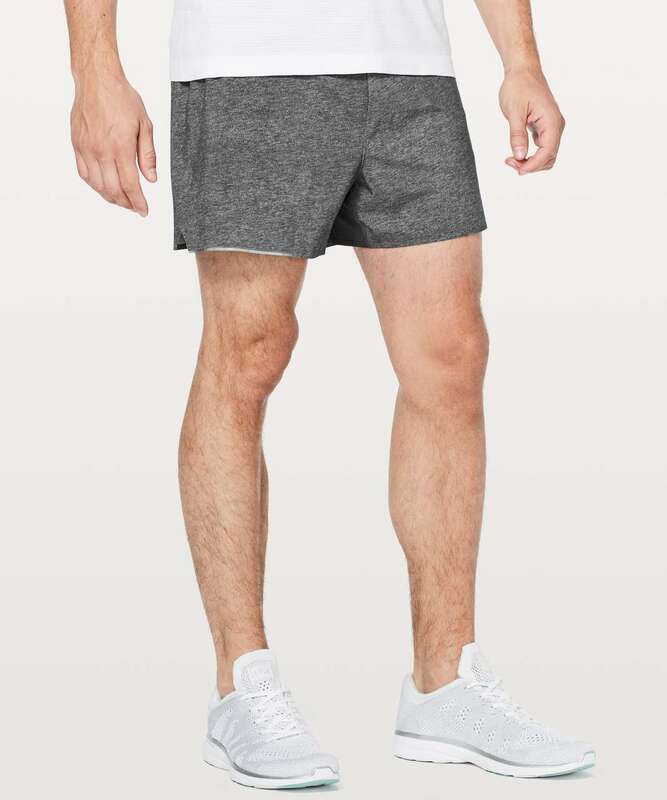 Lululemon Surge Short Out Of Mind Liner 4"
Go the distance in these lightweight, lined shorts. 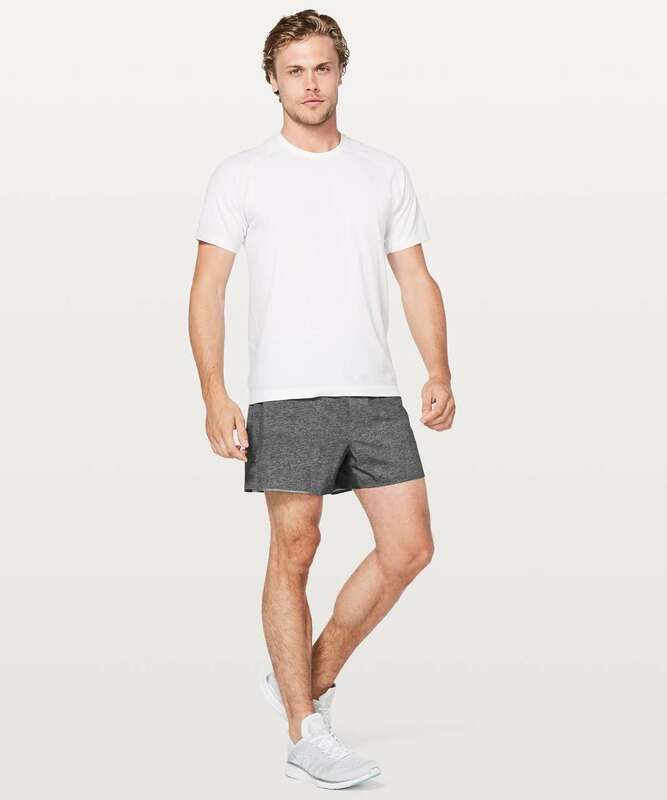 They're made with our four-way stretch, sweat-wicking Swift fabric and packed with run-friendly details such as a perforated back panel, a waistband loop to stash your top, and reflective details. Lined with our OOM (Out of Mind) liner construction that fits like a short, not a brief, you get cool coverage as you run. 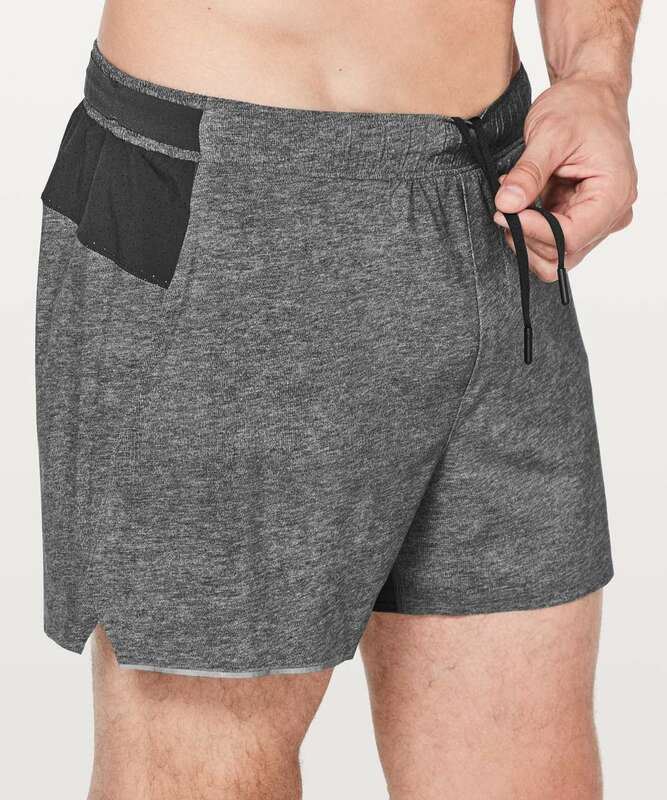 The OOM liner is made with quick-drying Mesh fabric, a built-in pouch to keep your boys feeling supported, and a no-bounce phone pocket with cord exit.